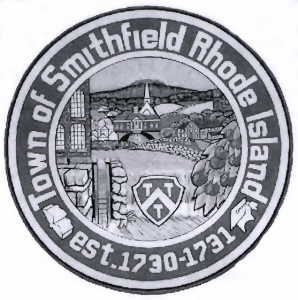 There’s a reason as to why two dates appear on the Smithfield Town Seal, and it has to do with the month of March. That’s right, happy New Year! For those of us living in the 21st Century the greeting might seem to be about two months late, but if one were living in colonial America it would be just about right, for there was a time in this country when New Year’s Day was celebrated on March 1st, and not January 1st. It is forgotten facts such as this that keep us historians in business. We have the ancient Romans to thank for the confusion, for it was their calendar that established the date of March 1st as the start of the New Year at a time when the year only had ten months – March thru December. The Romans later added the months of January and February bringing the number of months to twelve, yet March 1st remained the designated start of the New Year. In later years, Emperor Julius Ceasar established the Julian calendar, which set the date of January 1st as the start of the New Year. Caesar had been a great military general, but he wasn’t a popular ruler as evidenced by his assassination during the Ides of March in the year 44 B.C. The term Ides was used by the Romans to designate the middle of a month, and the Ides of March was a day of festivities dedicated to the Roman god Mars, for whom the month of March was named. Legend has it that Ceasar had been warned, “Beware the Ides of March” before he was stabbed to death by a group of conspirators in the Roman Senate. The death of Caesar aside, the start of the New Year reverted back to March 1st on the Julian calendar during the Middle Ages, and remained such throughout most of the world until the Georgian calendar was adopted in the 16th Century, which once again established January 1st as the start of the New Year. Unfortunately, religious differences between nations led to the use of both calendars. While most Catholic countries adopted the Georgian calendar, many Protestant countries, which included England, continued to use the Julian calendar. Since our nation’s original thirteen colonies were under British rule until the American Revolution, colonial America followed the Julian calendar which recognized New Years Day as March 1st. What does all of this have to do with Smithfield? It is because of differences between the Julian and Georgian calendars that one sees a dual year of incorporation on the Smithfield town seal, (1730-1731). Smithfield was incorporated in February of 1730, according to the Julian calendar. However, according to the Georgian calendar, the year was already 1731. The United States didn’t adopt the Georgian calendar until 1752, hence the dual dates. Today we celebrate the New Years arrival with champagne, but our forefather’s preferred beverage of choice for celebrating the arrival of the new year was mead, a liquor made from honey. Mead was also the customary drink consumed by newlywed couples, usually during their first month of marriage; that thirty day cycle between one full moon to the next known as the “honey moon”. The Crust Moon, because the warmer temperatures of the day thaw the top layer of snow, which then crusts over during the night when temperatures fall. It is this same thawing that brings earthworms to the surface which attracts birds, thus the names Worm Moon, and Crow Moon are also associated with March. Thawing also brings forth tree sap used for making maple syrup, hence the Sap Moon and Sugar Moon. The full moon of March is also referred to as the Lenten Moon, for the Christian calendar cites the time from Ash Wednesday in February, to Easter Sunday in April, as the season of Lent. Two other names that seem to contradict each other are the Chaste Moon, and the Death Moon. Chaste, because March heralds the birth of spring, a time of newness and purity; and Death, because it is the last full moon of winter. For those living in rural areas like Smithfield during the 18th and 19th centuries, March was a time for clean-up and preparation for planting. “Spring cleaning” consisted in part of picking up dead tree limbs, including twigs, that had blown down during the winter and storing them in a wood shed for future use. Wood was a very valuable commodity before the days of gas stoves and central heating. In fact, when a farmer decided to sell his farm, he often advertised the amount of wood that came with the deal, either in the form of chopped cord wood, or free standing wood lots. Another early spring chore was the necessary clearing of rocks and stone that had materialized in the fields over the winter, pushed to the surface by heaving frost. Some would joke that New England’s most abundant “crop” was stone, and anyone who has ever dug a hole on their property knows that one thing Smithfield soil is not lacking is rocks and stones. Once the stones were pulled from the ground, they were utilized in stone walls, or simply piled in an out of the way location creating the occasional cairn. Thus March was a time for mending fences, and the stone handy-work of Smithfield’s early settlers can still be seen everywhere today. The abundant stones, by the way, were left behind by the melting glacier at the end of the last Ice Age some ten-thousand years ago. Some of the early settlers, ignorant of earth science, referred to the Bible, and assumed the tumbled stones were left behind after the “Great Flood” of Noah’s time. March can be an “iffy” time of year weather-wise for we never know what we are going to get: snow, rain, sleet, or beautiful, gusty, windy days, perfect for flying a kite and catching “Spring Fever”. March indicates that winter is fading, releasing its icy grip on the landscape in favor of the more gentle touch of spring. Therefore, as we come out of winter’s hibernation and look towards the promise of a new season, with its warmer weather and outdoor activities, perhaps we might welcome that ancient colonial greeting.